The pin set is in great shape. Here are the cities represented in the framed set. The O pin in Rock is from Nashville. The C in Café is from Gatlinburg. The F in Café is from Sam Francisco. All other pins are from Atlanta. 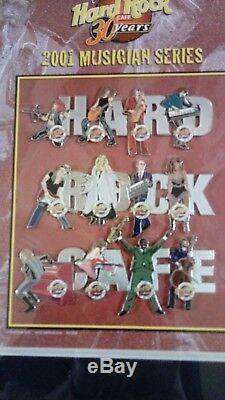 Please view my other listings to see Hard Rock pins and sports memorabilia. 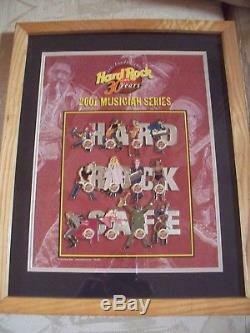 The item "2001 Hard Rock Cafe 12 Pin Set Musician Series Framed 30 Years Atlanta Mostly" is in sale since Friday, January 25, 2019. 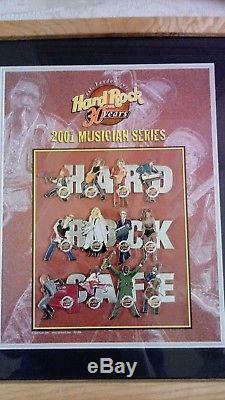 This item is in the category "Collectibles\Advertising\Restaurants & Fast Food\Hard Rock Café". The seller is "smoot2" and is located in Cartersville, Georgia. This item can be shipped worldwide.